1. 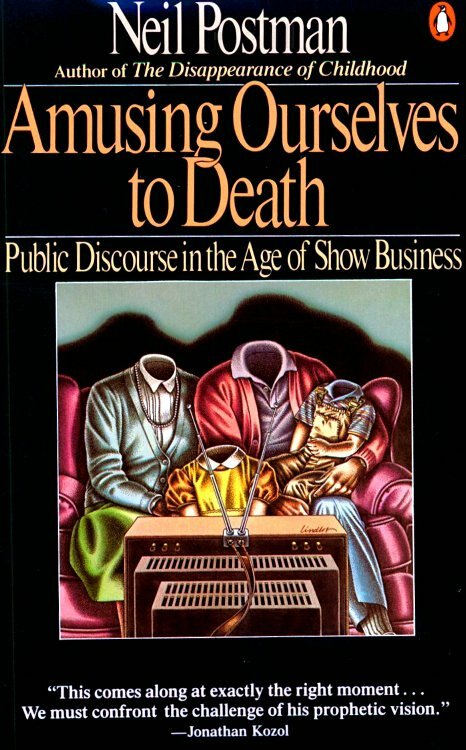 I have not said anything about Baltimore because Neil Postman. 2. The only way to fight our sinful craving for our culture’s version of perfection and acceptance is the gospel of grace which frees us to laugh at our inadequacies and smile at our failures. 3. Our public registrations of outrage and self-righteous opinion on the newest news generated by those paid to get us worked up are barely indistinguishable from the same that happened months ago which we no longer care about. 4. The church needs to stand firm in its belief that a tree falling in the woods does indeed make a sound even if no one hears it. 5. We assume we know enough and can speak intelligently about issues far from us experientially and geographically because we have read about them on the Internet. We are no different than our parents who kept sending us conspiracy theories via their aol address. 6. I’ve never eaten a pizza I didn’t think was worth my time. 7. Once you realize the news is designed to entertain you and that you want to be entertained by it, then you can be free. 8. And just like that, the Cardinals have the best record in baseball. And that is objectively true news. 9. Many of you prayed for my wife to find a job. And it worked. Please feel free to do the same for me. 10. You can admit to all our culture’s agreed upon sins and still be the biggest jerk in the room. A couple of weeks ago, I preached at my church from 1 Samuel on King Saul’s defeat of the Ammonites. My main goal was for my hearers to hear how Christ, our King, defeats our enemies. I also wanted them to see how now, under the New Covenant, this passage, and all other passages, is about Jesus. I remembered a quote by Calvin about Jesus as King. So I went and looked in vain to find it. But I did find something else. And it’s a passage of Calvin I have now read over a dozen times or more. 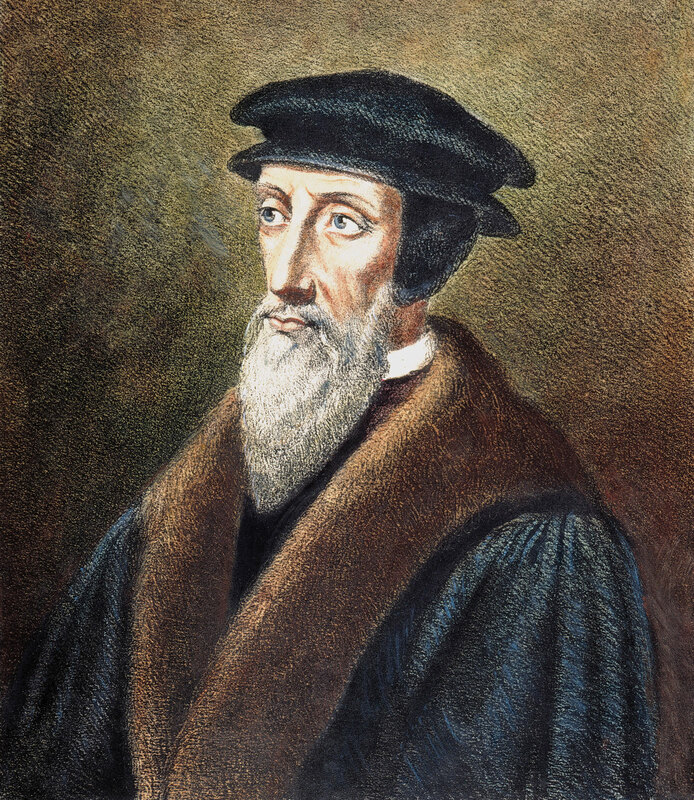 The following comes from John Calvin’s Preface to Olvetan’s New Testament. It follows that every good thing we could think or desire is to be found in this same Jesus Christ alone. For, he was sold, to buy us back; captive, to deliver us; condemned, to absolve us; he was made a curse for our blessing, sin offering for our righteousness; marred that we may be made fair; he died for Our life; so that by him fury is made gentle, wrath appeased, darkness turned into light, fear reassured, despisal despised, debt canceled, labor lightened, sadness made merry, misfortune made fortunate, difficulty easy, disorder ordered, division united, ignominy ennobled, rebellion subjected, intimidation intimidated, ambush uncovered, assaults assailed, force forced back, combat combated, war warred against, vengeance avenged, torment tormented, damnation damned, the abyss sunk into the abyss, hell transfixed, death dead, mortality made immortal. In short, mercy has swallowed up all misery, and goodness all misfortune. For all these things which were to be the weapons of the devil in his battle against us, and the sting of death to pierce us, are turned for us into exercises which we can turn to our profit. If we are able to boast with the apostle, saying, O hell, where is thy victory? O death, where is thy sting? it is because by the Spirit of Christ promised to the elect, we live no longer, but Christ lives in us; and we are by the same Spirit seated among those who are in heaven, so that for us the world is no more, even while our conversation is in it; but we are content in all things, whether country, place, condition, clothing, meat, and all such things. And we are comforted in tribulation, joyful in sorrow, glorying under vituperation, abounding in poverty, warmed in our nakedness, patient amongst evils, living in death. This is what we should in short seek in the whole of Scripture: truly to know Jesus Christ, and the infinite riches that are comprised in him and are offered to us by him from God the Father. If one were to sift thoroughly the Law and the Prophets, he would not find a single word which would not draw and bring us to him. And for a fact, since all the treasures of wisdom and understanding are hidden in him, there is not the least question of having, or turning toward, another goal; not unless we would deliberately turn aside from the light of truth, to lose ourselves in the darkness of lies. Therefore, rightly does Saint Paul say in another passage that he would know nothing except Jesus Christ, and him crucified. I had to borrow a Sharpie at work. But not for a document or anything having to do with the dignity of work. A few months ago the pocket of my suit coat got caught on the corner of a desk and ripped a little. My wife stitched it up but there is still a little bit of white internal material showing. Contrasted against even a fading blue, people notice enough to comment. So I borrowed the sharpie as a fig leaf. This 12 year old suit, bought by my parents a few days before I graduated from Seminary is not my only one. I have another but the pants are too tight in the waist and a moth got hold of them anyway. The Sharpie was borrowed just 10 minutes after clocking in at 8:09. If I had clocked in at 8:07, it would have counted for 8:00, but as it is, I am clocking in at 8:15 unless I send an email to my boss explaining to him I was here earlier but I was not able to clock in then. There are countless ways to deprive a man of his dignity. Two days ago my wife and I decided she needed to quit working. A couple years ago, we were desperate for more income. She started cleaning houses which sounds more dignified than calling her a maid. The money she made was a life-changer. We went from not even making it paycheck to paycheck to actually going on a short family vacation. But her shoulder hurts and it’s become chronic pain. The whole morning my age has become a constant specter at my elbow every moment. The lost income. I’m 43. Clocking in later. I’m 43. 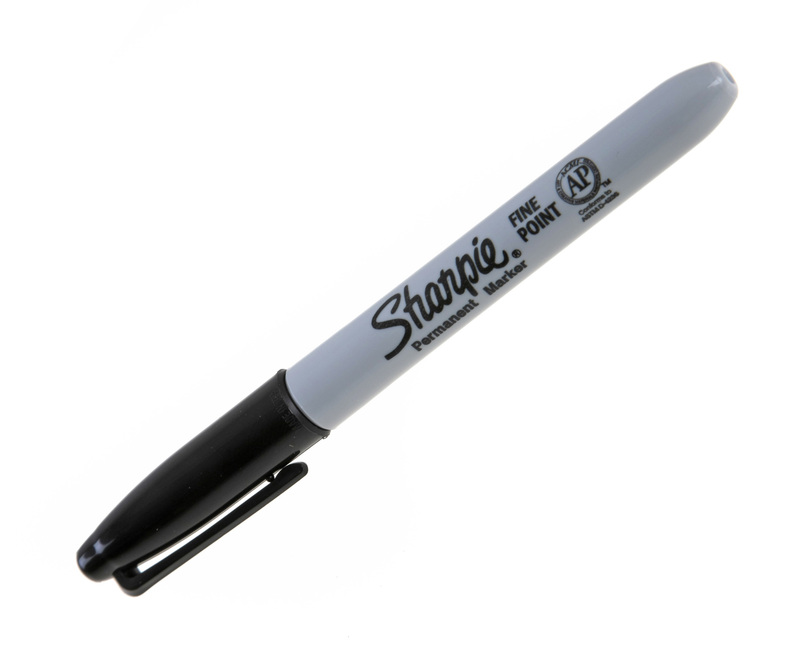 The Sharpie. 43. Behind all of this is the stark reality of my own work and how little it pays and how much I don’t like my job and the smallness. I’ve gotten pretty good at what I do. But the guy next to me is better. And he is new. And he is 21 years old. And English is not his first language. It just dawned on me he is closer to my daughter’s age than I am to his. When I wrote The God of the Mundane I wrote it because of what I saw in the lives of others. The original blog posts were written during a time when if anything, my star was rising. My writing was garnering more and more attention. But the God I was writing about was not humored. He wanted to make sure I believed what I was asking so many others to believe. Whether mercilessly or mercifully, I cannot give an easy answer, but I have been forced to answer the questions I asked others to consider. Forced to consider my own counsel. One of the lessons I’ve learned is there are two kinds of mundane. There is mundane compared to vocational ministry. A successful business owner needs to believe his work is inherently spiritual. He may be tempted to believe his work is nothing compared to the work of a pastor. But there is another kind of mundane. The successful business owner will at least have the consolation of “success” and the rightful spoils thereof. But what about the little guy in the dead-end job? This is a whole different ballgame. Back when I was doing youth ministry, we always had less money than our friends and the people I worked with. But I was doing ministry. There is a certain dignity in not having a lot of money in ministry. You (and others) can justify and spiritualize the lack in the name of Jesus. But not having a lot of money in the business world feels more like leprosy. I know what you’re thinking. This guy is talking about dignity and money a lot. And you’re right. But that is why the question of whether there is a God of the mundane matters. Does my work matter in the absence of those things? Because I ask that very question all the time. If I have dignity through working in vocational ministry or chartable work, then money is not quite as important. And if I at least have enough money to get by, even though I don’t have dignity, we can go on a nice vacation and I can forget about my work for a few days. Right now one of you is trying to figure out how to get money to me. Please don’t, see dignity above. Seriously, please don’t. That is not what this is about. This is my answer as to whether or not I believe my work matters before God on a day when I need a Sharpie for a threadbare suit. Because I’m not the only one asking the question. Someone somewhere is asking the question in a harder situation than I am. Banking is an industry famous for cold hard numbers and bottom lines. An unhealthy amount of people start their conversations with me in anger or sadness. The angry people are hard. Sometimes I can’t even guess as to why they are so mad. But there have been enough times where I’ve been able to peel back the layers and get to know them and where they hurt. And it’s usually that spot on their soul hurting, where the pressures of life, and sometimes death, have made them angry. The sad ones are countless. A couple of weeks ago I talked with a 23 year old mother of a 2 year old who had been a widow for a week. And then there’s the man whose wife drained the bank account and left with another. And the executor of an estate watching his once peaceful family fight like Nazis over his parent’s estate. Or a woman gathered into loneliness, on social security wondering how she will get to the next month’s check. A mother worried that her disabled daughter with a constant smile will make me uncomfortable. The alien among us, who speaks and understands just enough English. Whether anger or sadness, the issues are usually money and dignity. They all come with their own personal sharpie to cover the vulnerable places. The places they are ashamed of. The tender places. On the same day I used the Sharpie and clocked in at 8:08, I had my first book event related to The God of the Mundane. I was taken out for a nice dinner beforehand. I signed books while others sipped wine. And I had to talk about how even in my own work I have to push back against the Fall. It was a surreal experience, the event juxtaposed to the Sharpie. One of the questions I keep asking is “Why?” Why all this? Until I had to explain what the “pushing back against the Fall” looked like for me in front of a couple dozen other people, it didn’t dawn on me that I needed to feel the sharpie in my own hand for the sake of all those on the other side of desk. The grace of the gospel of Jesus dying naked and uncovered to cover my real shame is what I need when lacking money and dignity. The angry and sad ones? Them too. 1. I looked at a few youth ministry positions last week. What’s amazing is how many I’ve seen before. Meaning, after a couple of years, they are once again looking for someone. There are a number of reasons this happens. But you should always expect it when you look for a minister of the gospel in the same way you look for a PR guy. 2. You can now read old statuses from the same day on Facebook. It was two years ago today, my dad was dying in ICU and then my car died. 3. I suppose when your book is called, The God of the Mundane, it is fitting the first book event is 2.5 years after being published. 4. There needs to be a way/place to critique christian teachers while still esteeming what they’ve contributed. 5. Fantasy baseball will teach you about the sovereignty of God and your own control issues. 6. I’d rather be on the couch with my wife than the beach with anyone else. 7. Anytime I’ve ever disagreed with J.I. Packer, I’ve assumed I’m wrong. And then realized I was right. About being wrong. 8. I’ve gotten to a point where the most satisfying writing I’m doing may never be for public consumption. I can’t figure that out. But Anne Lamott is right about the negative effects on your psyche of getting published. 9. I don’t want to be part of the evangelical industrial machine. 10. Sometimes God will take you to a low point so can look into the eyes of others who are also there, and then you will understand God’s goodness. 1. I read every tweet on Joel Osteen’s timeline all the way back to before Christmas. And after vomiting, it was clear his ministry is not a Christian ministry. You see, for something to be a Christian Ministry, there must be some discussion about the person and work of Christ. Not one statement referenced Jesus. Not even on Christmas. 2. Our vacation is almost over and the best part was worshipping at our old church in Greenwood, MS.
3. The Bible, particularly The Psalms, dignifies undignified complaints. 4. Jesus said persecution was a reason for rejoicing and the result would be blessing. America does not understand. America believes in defense attorneys and the courts. 5. My wife and I watched no TV while on vacation. But we watched the sun set for three days straight. 6. I would not attend a gay wedding even if it did have pizza. 8. 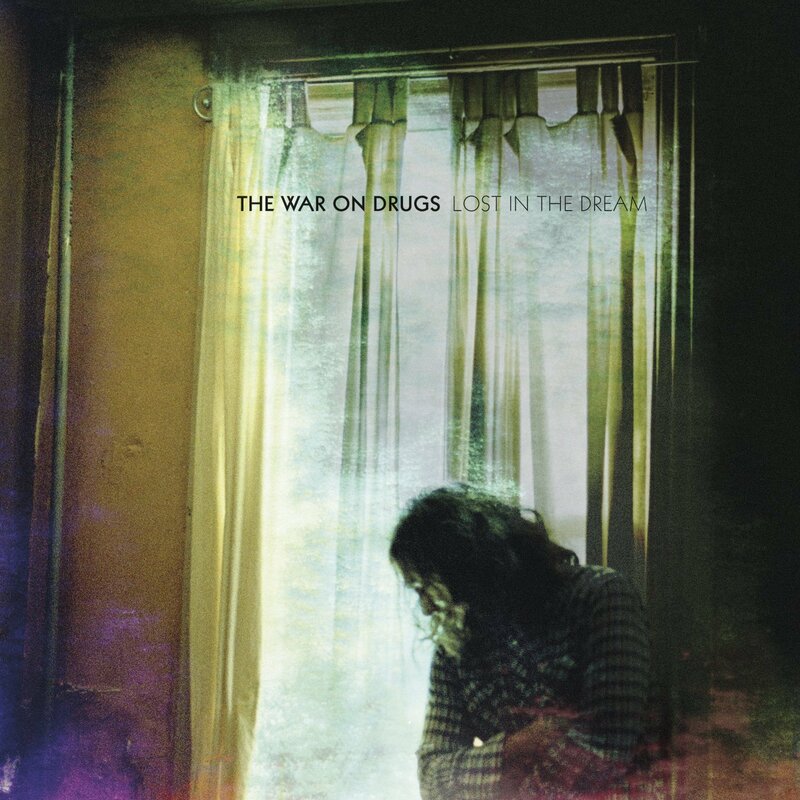 Tomorrow night I’ll see The War on Drugs in concert. Hard to imagine looking forward to another show like this one. 10. I’m never bored if my wife is present.